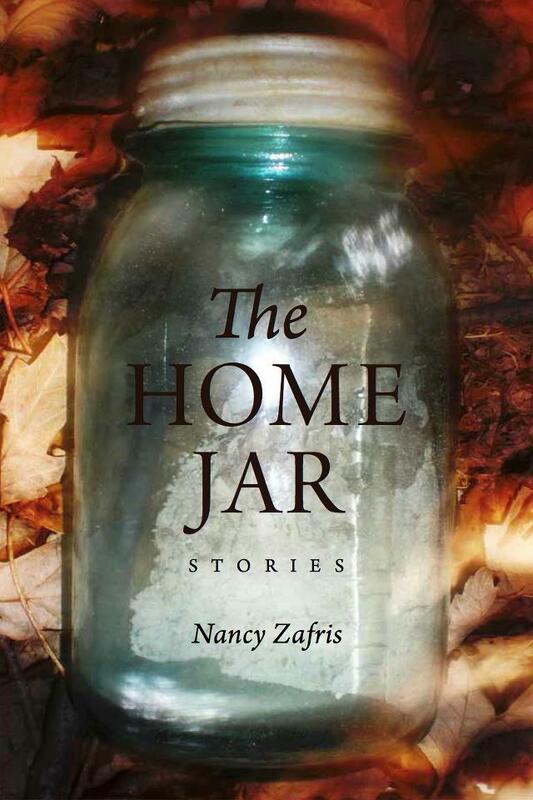 Nancy Zafris is the author of the story collections The Home Jar & The People I Know and the novels The Metal Shredders & Lucky Strike. Nancy is currently the Series Editor for the Flannery O’Connor Award for Short Fiction and was Fiction Editor of The Kenyon Review. She has also taught for the Antioch University low-residency MFA program in LA. Find out more about Nancy at nancyzafris.com. Nancy will conduct Master Teacher Weekend Workshops in Sacramento April 27-28th & Los Angeles/Westwood May 4-5th. She will be the featured writer at Stories on Stage April 26th. For more information about the workshops, visit http://valeriefioravanti.com/master-teacher-workshops/. What can participants expect to accomplish over the two days of this workshop? First, I want to focus on generating original work which we then analyze and use as another catalyst for more work. Second, I want to talk about putting a collection together — some practical advice. I feel in a unique position to do this since I’ve not only published two collections but I’m the series editor of the Flannery O’Connor award for short fiction and so I see many, many collections and I can actually tell quite a bit just by their table of contents. So we’ll talk about that. Third, each participant will also have a previously written story critiqued in class. We’ll devote a shorter amount of time than usual so that we don’t take up 6 hours of class time. I’m also scheduling individual conferences before and after the class, and during the 90-minute lunch hour. I’ll skype with those I don’t get to individually during those two days. Basically, I’ll do what’s necessary to give each writer complete feedback on his or her story. So the participant can expect something a little bit different from the regular workshop. Yes. Quite a bit different. It’s not static. We don’t “workshop” stories per se. I treat the stories before me as if I’m an editor at a publishing house and I need to get this piece ready for publication. If someone wants their 85-year old grandmother to be a pothead who supplies her grandson’s friends, I’m not interested in hearing from the other writers that their grandmother would never do this and that grandmothers in general would not. The question is not, Why can’t this work? The question is, What needs to be in place to make this work? It’s high energy, rigorous but supportive, and I think it’s fun. In the workshops I’ve taken with you before, you use prompts. Yes, I like prompts. I use prompts at the Kenyon Review summer workshop. Prompts really get the creative juices flowing. But I’m careful about what prompts I use. I like them to have an inherent structure. Are they for long or short pieces? Because of time limitations, they are mostly for short shorts. But I’ve recently devised some for longer pieces. Those I try out myself to see if they work. Two of them I tried out resulted in stories that are included in my new collection, THE HOME JAR. I think one story is pretty easy to spot. It’s a numbered story. The other might not be so easy to find. Why is the story numbered? The numbers function as space breaks and time jumps. One of the biggest issues in my workshops are stories that span a lengthy period of time. The writer begins to summarize rather than dramatize. So I tried to figure out something that allows for a time span but also ensures that each discrete moment is dramatized. I think you published the one you wrote using this structure. We were next to each other, I remember. I had done a micro fiction piece that came from another prompt. That story of mine spanned several years. Why can’t stories span a lengthy amount of time? They certainly can! They simply can’t be summarized. This is where Aristotle’s unity of dramatic action comes in. He says the dramatic unit should not be longer than 24 hours. Oedipus Rex takes place in a day. But I’ve read stories of yours that last much longer than that. Yes, absolutely. I have a story in the collection that goes from the early 1930s to the late 1990s — over 60 years. And I recently went back to check on these stories because I had given advice to someone that his stories had this time and summary problem we’ve been talking about, and I started to feel like a hypocrite because, I was sure, my stories did not have this unity of action. So I went back and checked the stories in this new collection and except for that numbered prompt story, I was surprised that they all took place in a 24-hour period, even the one that spanned 60 years. So you’re talking about “the fish” now. Yes. That’s my way of talking about the unity of action. Some teachers use the fish structure to illustrate subplots. I use it to illustrate what I’ve begun calling the top story and the bottom story. The top story is basically the plot or the story you’re feeding the reader (and that one is short), and the bottom story is the real story (and that can be as long as you want). And you’ll be doing the fish in the workshop. Oh yes. And I’ll probably assign a couple of stories to read beforehand that illustrate this structure. I can say that learning this structure really helped me with my stories. And it’s meant to help, not to dictate, because every writer is different. You in particular, Lori, thrive on structure, it really releases your creativity. And I believe you’ve published several pieces from the workshop. I guess over 50 stories coming out of my workshops have been published. You’re currently the series editor of The Flannery O’Connor award for short fiction. Before that you were the fiction editor of The Kenyon Review. How has that influenced your teaching? It’s made me approach stories initially from a technical angle. That is, I’m in the position of judging them and it means for the stories that they will be published or not published. That’s a big deal. I try to approach the story without any of my own desires or projections. I let the story be. It tells me its own terms. If it violates the very terms that it has proposed up front, then the story stops working, technically, the way it should. So in teaching, it’s somewhat the same. I don’t want to tell people what to write; I simply want to figure out a way to make it work. I’m very against making the story “smaller” in order to make it work. I like ambitious, layered stories, and I think ambitious stories can have more things “wrong” with them and still work. I’m not a big fan of tidiness. Tidiness is its own sort of summary for me. Lori White’s latest story will be published this spring at The Journal Online. Other stories have appeared in Kenyon Review Online, The Kenyon Review anthology Readings for Writers, apt, and Necessary Fiction. She teaches English at Los Angeles Pierce College and lives with her partner and their three dogs at a fire station in the Los Padres National Forest.